Anne H. Ehrlich (64) is a senior research associate in the Department of Biological Sciences and associate director of the Center for Conservation Biology at Stanford University. 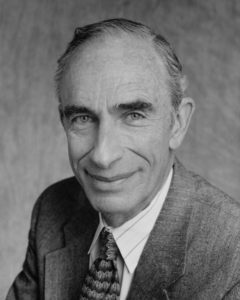 Paul R. Ehrlich, Ph.D. (65) is Bing Professor of Population Studies and Professor of Biological Sciences at Stanford University. The Ehrlichs have worked together since the 1950s, beginning their scientific collaboration through research on butterflies as a test system for answering key questions of biological classification, ecology, and evolution. Paul Ehrlich’s contributions on the population ecology of butterflies led to development of the powerful concept of co-evolution (with Peter Raven, Ph.D.), an important understanding of the dynamics of animal populations. These ecological and evolutionary principles were later applied by the Ehrlichs to help assess the impact of human populations on the environment. In examining the impacts of population growth, consumption, and use of inappropriate technologies around the world, the Ehrlichs have produced an enormous body of work and stimulated careful political attention to environmental issues. They have displayed exceptional personal courage in taking a prominent public stand on diverse questions critical to the future of humankind, such as the preservation of biodiversity and endangered species, the hazards of pesticide pollution, the search for racial justice, and nuclear winter. Paul Ehrlich’s 1968 book, “The Population Bomb,” has been called a wake-up call for an entire generation. By 1993, the Ehrlichs’ perspective had become the consensus view of scientists as represented by the “World Scientists’ Warning to Humanity” and the statement issued by the Population Summit of the world’s scientific academies in New Delhi. The Ehrlichs have written more than 30 other books. Among the most significant: the textbook “Ecoscience; Population, Resources, Environment” with John Holdren (1977), a template for environmental education; “The Population Explosion,” (1990), an update on the consequences of human population growth; and “The Stork and the Plow” with Gretchen Daily (1995) about the urgent need to place human well-being and equity at the forefront of environmental solutions. Currently, they are publishing a series of newsletters titled “Ecofables/Ecoscience,” using science to debunk myths about humans’ relationship to the environment. They remain active as leaders in scientific and environmental organizations. Through the Center for Conservation Biology at Stanford, they work with an international team of scholars to use science to help conserve humanity’s “biological capital.” That capital is the plants, animals, and microorganisms that are essential to providing the ecosystem services that support the human economy. Paul R. Ehrlich was born on May 29, 1932 in Philadelphia, Pennsylvania. He received his Ph.D. from the University of Kansas (1957). Co-founder with Peter H. Raven of the field of coevolution, Ehrlich has pursued long-term studies of the structure, dynamics, and genetics of natural butterfly populations. He has also been a pioneer in alerting the public to the problems of overpopulation, and in raising issues of population, resources, and the environment as matters of public policy. Ehrlich is the Bing Professor of Population Studies, Professor of Biological Sciences at Stanford University. and is Chairman of the Board of Directors of the Center for Conservation Biology at Stanford University. He has been a Stanford University faculty member since 1959. Ehrlich’s research group covers several areas. It studies the dynamics and genetics of natural populations of checkerspot butterflies (Euphydrayas) with techniques ranging from computer-processed mark-release-recapture experiments, modeling of population processes, to starch-gel electrophoresis. This research has applications to such problems as the control of insect pests and optimum designs for nature reserves. His research group is also carrying out several studies of avian communities and field evaluations of populations of various endangered organisms. The group’s policy research on the population-resource- environment crisis takes a broad overview of the world situation, but also works intensively in such areas as immediate legislative interests as endangered species and the preservation of genetic resources. Ehrlich is a fellow of the American Association for the Advancement of Science, the American Academy of Arts and Sciences, the American Philosophical Society, and a member of the National Academy of Sciences. He has received several honorary degrees, the John Muir Award of the Sierra Club, the Gold Medal Award of the World Wildlife Fund International, a MacArthur Prize Fellowship, the Crafoord Prize of the Royal Swedish Academy of Sciences, the Volvo Environmental Prize, the Heinz Award for the Environment, the United Nations’ Sasakawa Environmental Prize, and the 1998 Tyler Prize for Environmental Achievement. Many of these honors he shares with his wife and collaborator, Anne H. Ehrlich. Anne Howland Ehrlich was born on November 17, 1933 in Des Moines, Iowa. She earned a bachelor’s degree in biology from the University of Kansas (1955). 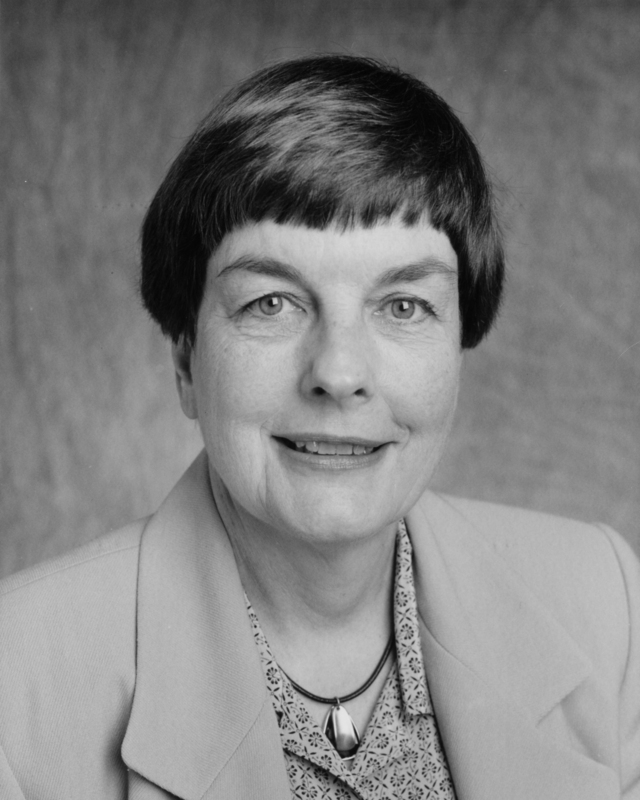 She joined the Stanford University Department of Biological Sciences in 1959 as a research assistant and became a senior research associate in 1975. In 1987, she became Associate Director/Policy Coordinator of the Center for Conservation Biology at Stanford. Anne Ehrlich has carried out research and co-authored many technical articles in population biology. She also has written extensively on issues of public concern such as population control, environmental protection, and environmental consequences of nuclear war and is co-author of ten books. Since 1981, she has taught a course in environmental policy for Stanford’s Human Biology Program. She co-authored The Population Explosion (Simon & Shuster, 1990); Healing the Planet (Addison-Wesley, 1991); The Stork and the Plow (G.P. Putnam’s Sons, 1995); and Betrayal of Science and Reason (Island Press, 1996). Anne Ehrlich served as one of seven consultants to The White House Council on Environmental Quality’s Global 2000 Report (1980) and has served on the boards of directors of Friends of the Earth (1976-1985), Conferences on the Fate of the Earth (1981-1984), the Center for Innovative Diplomacy (1981-92), Redefining Progress (1994-96), and the editorial board of Pacific Discovery (journal of the California Academy of Sciences) (1988-94). She is the recipient of the United Nations’ Sasakawa Environment Prize, the Heinz Award for Environmental Achievement, Distinguished Peace Leader Award from the Nuclear Age Peace Foundation, and the 1998 Tyler Prize for Environmental Achievement. Many of these honors she shares with her husband and collaborator, Paul R. Ehrlich.